Winner Casino is an online casino where everyone is a winner. This is because once you register an account at the casino and start playing, you will be able to claim many promos and bonus offers as well as place bets on highly rewarding casino games. Winner Casino is powered by Playtech, this means that patrons of Winner Casino will be able to enjoy a wide array of Playtech games and Blackjack variants. Winner Casino is a new casino as it has been in the industry for 4 years only since its debut in 2009 but in such a short period of time, it succeeded to create a huge base of loyal players who consider Winner Casino their one and only gambling destination on the internet. Winner Casino is available for international players and for that same reason, the casino offers its services in many languages such as English, French, Spanish, Italian, Dutch, Greek, Russian, Portuguese and Danish. Winner Casino has gotten the needed online gambling license from the licensing authority of Antigua, which is one of the oldest, and the most respected licensing authorities in the world. The casino is also audited by Technical Systems Testing, also referred to as TST. TST audits its results and its payout percentages to guarantee the patrons of the casino that they are enjoying a secure and a fair experience. 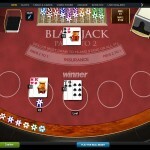 Playtech provides Winner Casino with an amazing set of casino games. These games include Marvel branded slot machines, roulette tables, scratch cards and Blackjack. 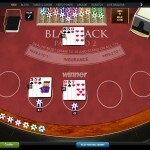 The blackjack gaming selection is varied and rewarding. The list of Blackjack games that are on offer at Winner Casino include classic blackjack, multi hand blackjack and Blackjack Pro among others. Blackjack fans will also find two Live Blackjack games that give them the chance to enjoy Blackjack in a whole new light as interact with a stunning female dealer. 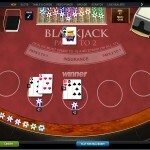 These versions are Live Blackjack and Live Unlimited Blackjack. 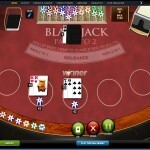 Winner Casino offers blackjack players an extensive set of welcome bonuses that they can choose from. Players can claim the $350 standard welcome bonus, the $1,250 High Roller Welcome Bonus or the $700 Mid Roller welcome bonus. Players will be given these amounts of bonus credits and they will be able to use it to place real bets of any of the above mentioned blackjack games, whether live or online blackjack games. Players will also earn free credits through the loyalty program of the casino where they will learn points for placing Blackjack wagers.